As part of 86th Air Force Day Celebrations, a Cycling Expedition team ‘Sadbhavana’ was flagged off from Air Force Station Naliya on 01 Oct 18. 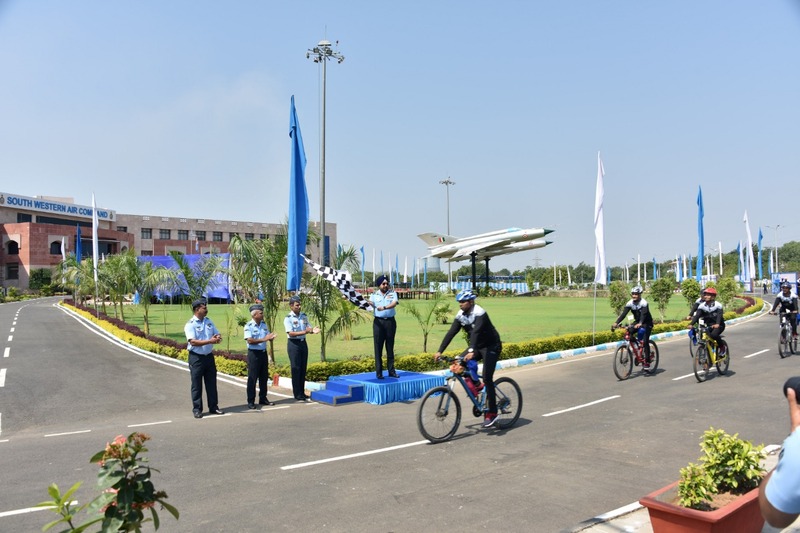 The expedition culminated at Gandhinagar on 07 Oct 2018, flagged-in by Air Marshal HS Arora AVSM Air Officer Commanding- in-Chief, South Western Air Command. 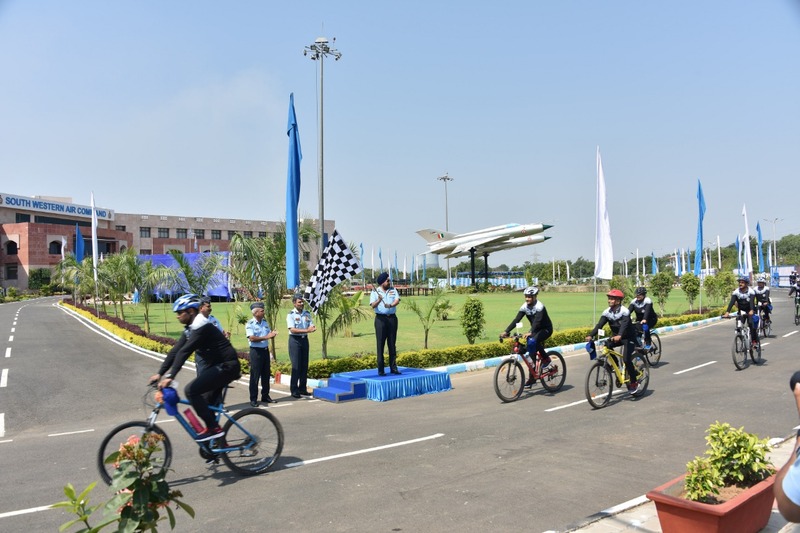 The team comprised participants from Air Force Station Naliya and Bhuj along with members of Army, Coast Guard, BSF, Civil Police, HPCL, Ultra Tech and Sanghi Cement factories. 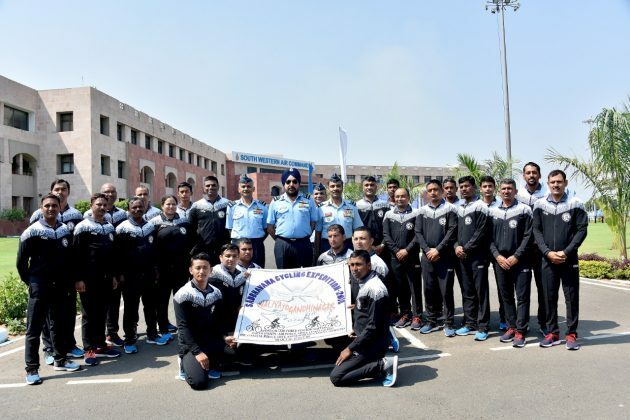 Led by Squadron Leader Sourabh Walia, it covered a distance of approx 500 kms passing through Mandvi, Gandhidham, Samakhiyali, Halvad, Virangam and Vadsar. 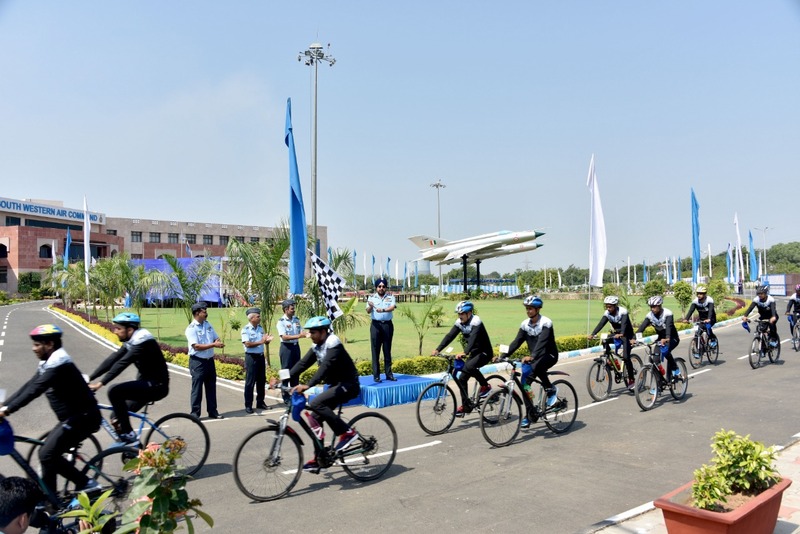 The expedition team enroute interacted with students of various Government and Private schools in a bid to create awareness about ‘Health & Environment’ by use of cycle as conveyance in day to day life. 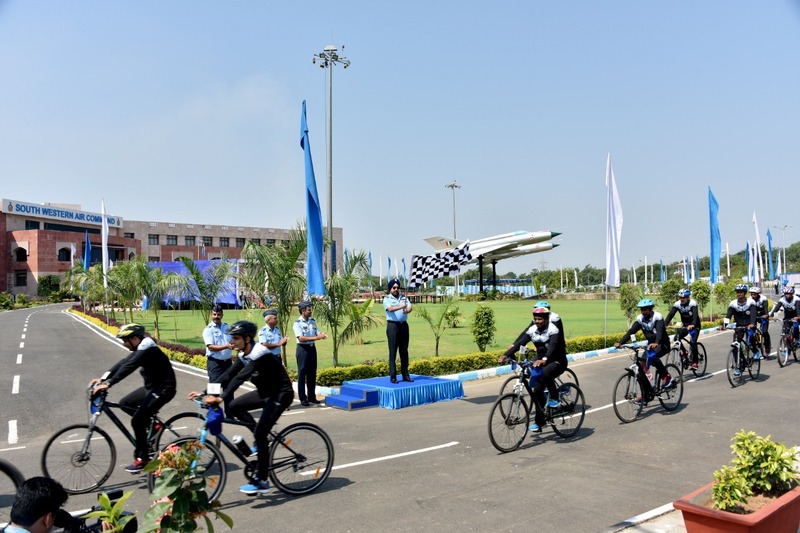 They also spread the message of ‘Beti Bachao, Beti Padhao’, ‘Swachhta hi Seva’ and motivating the students to opt Indian Air Force as career in life. 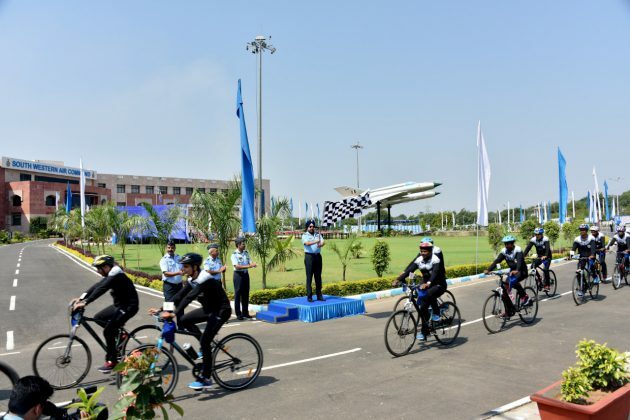 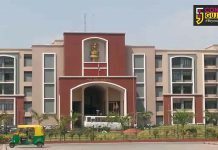 Previous articleHow does the trade war affect Indian Market?